The good news is that there is a simple way to shift our thoughts in any given moment to make any circumstance or situation easier and more peaceful to navigate. After investing the last 40 years studying and mentoring others in transformational principles – and living with intention – I’ve found that chances are the issues you’re facing aren’t so cut and dry. Say someone cuts you off in traffic, or a person checking you in for your flight at the airport is rude. Or your partner comes home acting cranky after a challenging day at work. Here’s a thought exercise that I’ve found to be extremely helpful in the moment for shifting perspective, and re-calibrating my thoughts to be open to the possible good. Just for a minute, I’d like you to imagine that you actually hired that person to cut you off in traffic. You hired that person at the airport to be rude to you. You even hired your partner to come home cranky. If you imagine that this is the case, would you feel differently about the person or situation? How would you choose to respond? There’s something about money and investing our resources that brings ownership to a situation, creating an openness for good things to blossom as a result. So imagine now that you’ve invested in the frustration you’re experiencing – you invited it in to give you something beneficial to your life. Looking at your life from the perspective that you CHOSE every person and circumstance in it can be incredibly liberating and one of the first steps toward living with intention! It’s because no matter who you encounter or what your circumstances are, you always have the power to choose how you respond. And sometimes, you just need a little reminder that you actually have a choice. My granddaughter, Allie, showed me a wonderfully simple way to look at this. She then set her finger at the end of the maze, tracing her way backward to the beginning. Take a look and think about the life you truly want to live – the life that would bring you joy every day, and make you thrilled to wake up every morning because you’ll spend that day doing what you love. In this book, he describes something called The Hero’s Journey – a series of events that most heroes go through on their path toward ultimate victory and success. An average person sets out to accomplish a challenging task. Along the way, the person faces great difficulty, and after a long and arduous journey, they eventually overcome adverse circumstances. And in the end, the hero discovers that they have more power and potential than they ever dreamed of. You start to realize that no one but you has the power to take away your peace of mind. Of course, you probably wouldn’t choose to be cut off in traffic, or spoken to in a certain way. But since events like this happen all the time, and are mostly beyond your control, why not use situations like these to empower yourself to be the best you can be? You, like everyone else, will most likely encounter unfavorable people and circumstances throughout your life. But the good news is you have complete authority over how you choose to react to every experience. That person at the airport who was rude to you while checking you in for your flight… have you ever wondered if they were having a hard day? Why not send them a little prayer as you walk to your gate, or silently send them a blessing for a better rest of the day? Most likely you would have preferred that they had been pleasant, but since they weren’t, how can you maintain a pleasant attitude within yourself regardless of what they are or are not doing? When we begin to disconnect from the demand that people be who we want them to be, and circumstances be the way we want them to be, we discover that we have a hidden power in us… and it’s the power to choose who we’re going to be, no matter the circumstance, situation or condition. Hit your internal pause button. If you still feel angry, turn up the volume on your curiosity. Take that step right away, even if you can’t see the entire path of where it will lead. In ancient Greece, the discus throwers in the early Olympics received their scores not just on how far they threw the discus, but also on their offered intentions. When the competitor came forward, he would hold up the discus and offer the discus and the throw to the gods, and then offer a fervent intention for that particular throw. Then he was judged on both, together. I just loved that story when I heard it because I thought when you go through your day, there really can be an intention with everything you do. Right now you can offer your intention for your day. Hold it up high, proud, and then go and live that intention. Well we all know that, but we forget to know the power of that. Your choices shape your life. Your life is the canvas. So today as we pick up that which will authorize our life today, that which will create the color, the fabric, the hue, the shape of our lives this day let us remember that the point of power is in our intention. But what if you don’t know what you’d love for your life? If you’re not sure what kind of life you’d really love, you’re far from alone. Many people do not feel they have clarity when it comes to a reason, a purpose or a vision on why we do what we do. We just have been taught to ignore our dreams for so long that those dreams have become quiet, their guiding voices faded to a soft whisper. But those dreams are still there. They always will be, and now is the time to reactivate them and let them know they are alive and kicking! 1. What do I love doing that I’d gladly do for free? This could be something you’re currently doing as a hobby, a part of your work that you wish you could spend more time on, or something you dreamed of doing as a child, and still long to do. For some people, it may feel odd or unrealistic to imagine spending all day on something you currently do only in your free time. But it is likely that as a child, you were taught that it was neglectful or bad to spend too much time on the things you love, and that you were only being productive when you were doing chores you didn’t enjoy. It’s important for you to know that the things you love and are passionate about are not random. 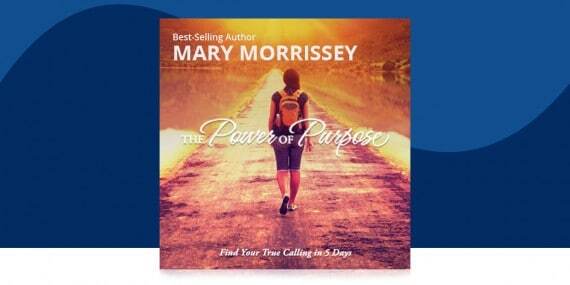 They are the voice of your highest self, calling you toward your true purpose. You have permission to set an intention and follow this call! 2. What would I love to experience everyday? Take a moment to think about the things you’ve been longing to do or experience that would bring you aliveness. Is there a conversation or interaction that you wish you could have more often with some of the important people in your life? Would you like to change a relationship that is not serving you or the other person? Is there an activity you’d like to do, such as traveling to a new country, or maybe it’s learning a new skill like skiing, or perhaps it’s something that you haven’t had much time or opportunity to do lately? Maybe you have a desire for a change in your environment, such as moving to your favorite city or living in your dream home? 3. What would I love to create? What is one group, cause or person that you would like to leave better or happier than they were before they met you? Is there a transformation in people’s lives or the world, a work of art, a feeling, a resource of knowledge, or a product or invention that you want to give the world during your precious time on Earth? 4. What are the problems I routinely notice in my life, and what would I love instead? I’m not encouraging you to focus and dwell on the negative, but simply to notice it, and then shift your focus to what you want instead, towards setting intentions that give life rather than weigh you down. For example, if you’re working too many hours, focus on how many hours you want to work each day. Or if your body feels heavy, sick and tired, focus on how you want your body to look and feel. The feelings of discontent and restlessness in our lives shouldn’t be the center of our attention, because you attract more of what you focus on. But they are signals that tell you where your life is misaligned with your dream, and where you have room to move further into the life you were born to live. Congratulations! You’ve found the end of your maze. Now, how do you get there? Okay, so you’ve figured out what your dream life looks like, or at least you are starting to get an idea of what you want to experience, so your first step is to find the first step. If you want to move into your dream home, start looking for houses that match the description of what you want. If you don’t know what kind of house you want, your first step is to write down a detailed description of what you desire in your new home. How many bedrooms would you love to have? If you want to travel, your first step is to find the destinations you want to travel to. And don’t confine yourself to thinking about just the ones you can afford to travel to – take a step towards the ones you want to travel to. Once you know precisely what you’re aiming for, you’ll have a clearer idea of what you need in order to get there. There is something very specific that we are here to be, do or create that will enhance the lives of those around us and bring us the greatest joy and deepest fulfillment in the process. 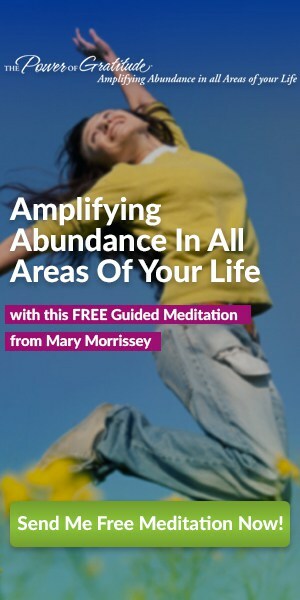 The first step to living that life is to DECODE what your life’s purpose truly is, and the guided meditation gift I’ve just sent you will help you do this. The natural next step is for you to create a clear vision for your future that’s aligned with your true calling, so that you have something to actually live INTO – and my brand new program, The Power of Purpose™, will help you do precisely that! Hi Mary thank you for all your emails for me i really love reading that all it is very inspirational and it makes me think positive all the time and to set my goal in life. Thanks a lot. Thank you for the meditation gift and for your words of wisdom. I’m a yoga teacher in Northern California. I’m hungry for inspiration and grateful to have found your work. Thank you for sharing this would love to get the offer provived. I agree 100%. This is where I am in life personally. At the beginning with a clear view of exactly what I want. Like your grand daughter did with her maze, I had to start at the finish to get back to the beginning. I am 34. By no means am I just getting into adult hood, but I am just beginning to see my life for what it is meant to be. Thank you for the inspiration. I especially love the quotes you attach to your pages, e mails. 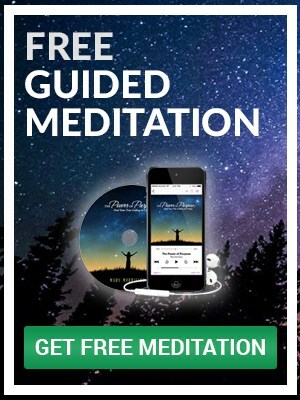 Thank you for this free meditation – it comes at a very good time for me!